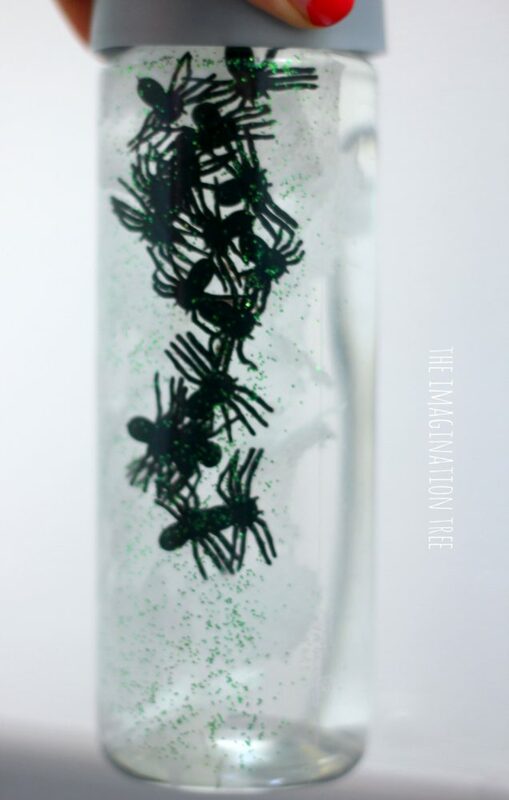 Make this spider web discovery bottle for plenty of spooky, minibeast fun for babies, toddlers and preschoolers! 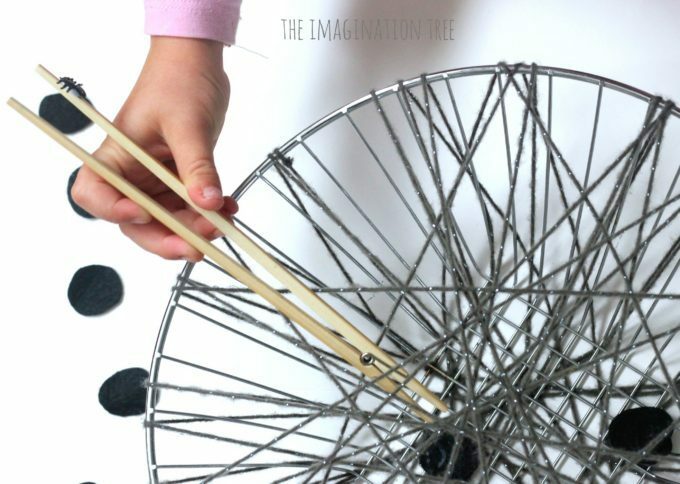 A great DIY toy for rolling, tipping, watching, wondering and even counting too, plus SO easy to make! Tear small pieces of kitchen towel and set in a pile ready to use as spooky spider webs. Fill a Voss bottle 3/4 full with warm water. 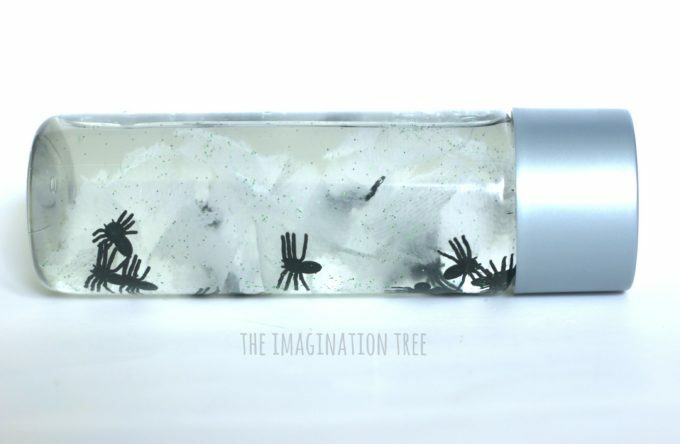 Top it up nearly to the top with the glycerin then drop in the torn kitchen towel, a handful of mini spiders and a large sprinkling of the silver glitter. Now give it a good shaking to mix it all up and watch the contents falling slowly, suspended in their sparkly, spooky liquid! For a baby or toddler this is just a perfect type of toy for discovery and wonder! It’s a feast for their senses and will provoke lots of thinking and amazement. They can watch it, shake it, roll it and crawl or toddle after it. 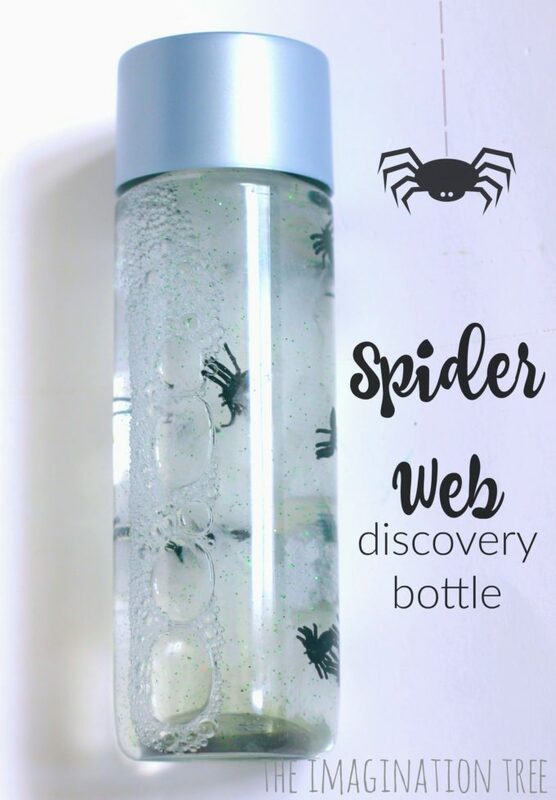 Use it alongside your child as a way to talk to them and point out what they can see, naming the spiders and even starting to count them as you point. 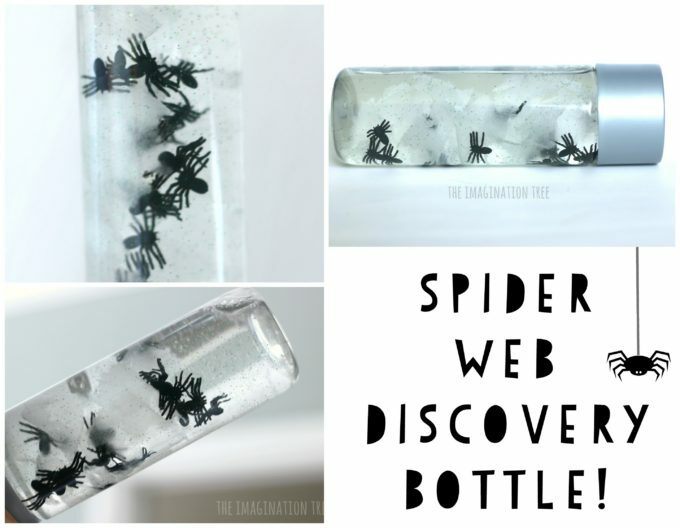 Add it to a spider themed sensory basket along with a spider soft toy, book, spider puppet or story spoon! 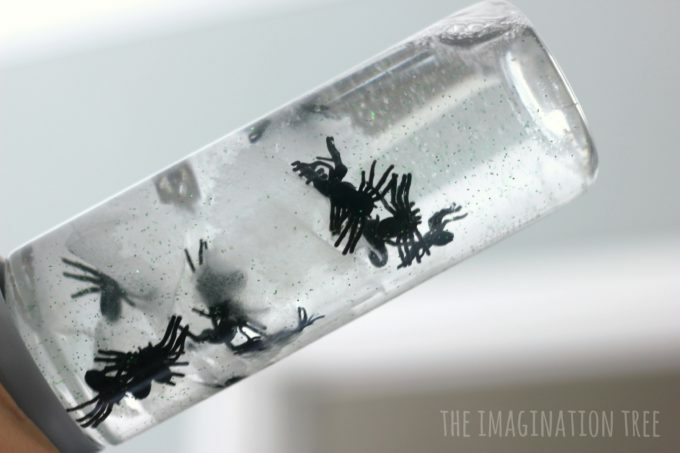 For older kids this could be an awesome DIY craft activity at a Halloween party! 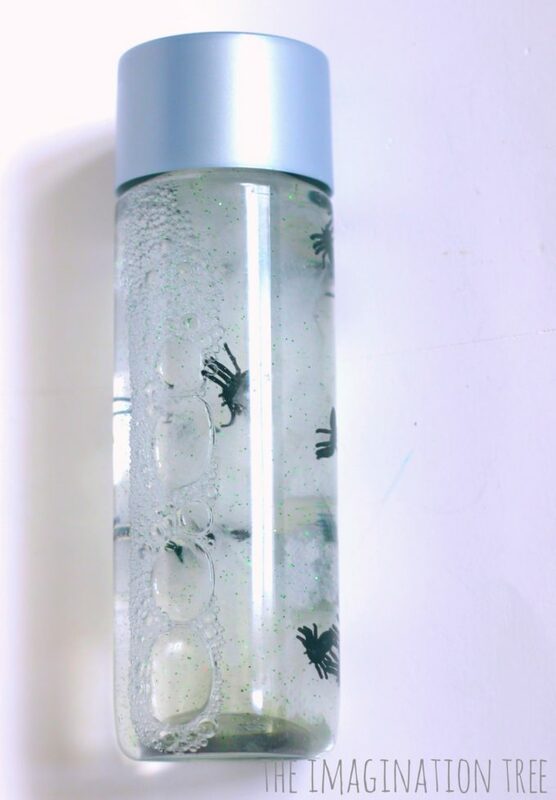 Let them use a wider range of materials to put inside to make spook-tacluar sensory bottles! 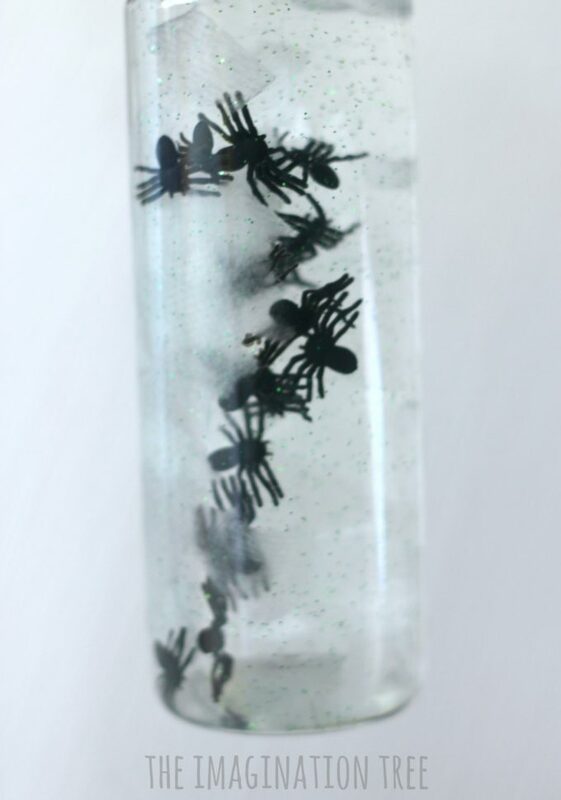 Want to use these same spiders for a learning activity? 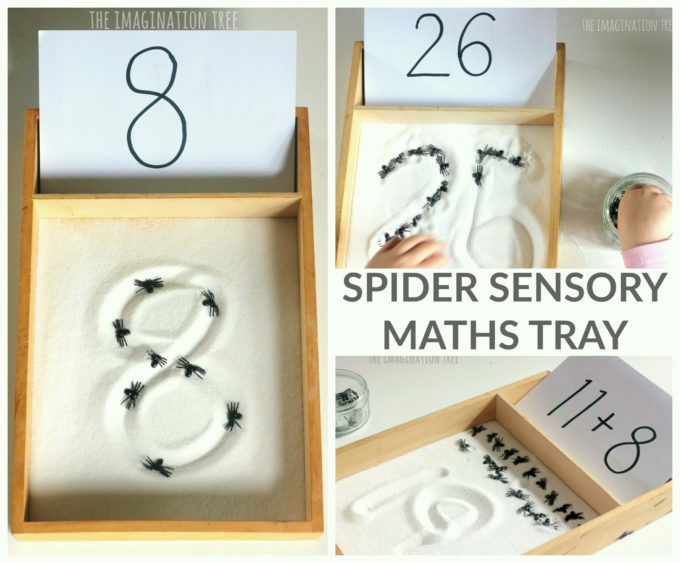 Check out our SPIDER COUNTING and MATHS TRAY where we used them in a new way! 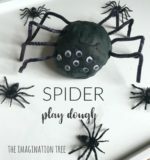 And this SPIDER FINE MOTOR GAME is great fun for little hands too! 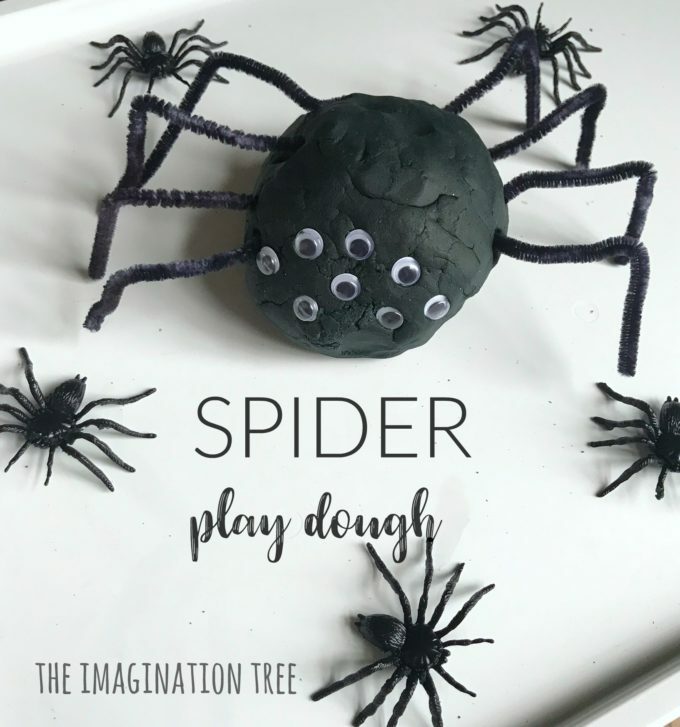 And you might love our Spider Play Dough Activity Tray with lots of fun ways to learn numbers and practise fine motor muscle strengthening too! I’m a big fan of sensory play, as it has so many benefits for children’s development, plus it’s great fun. This is so simple, but really effective.